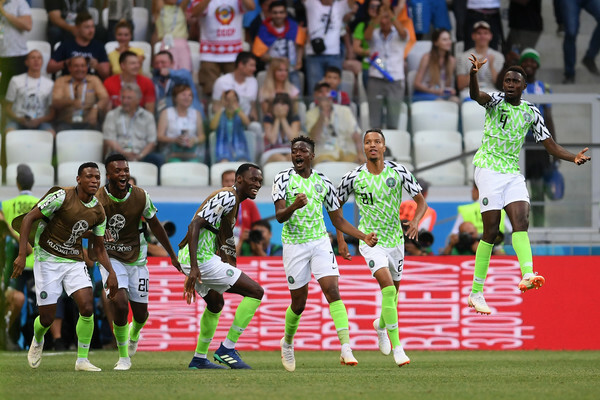 Ahmed Musa is attracting interest from clubs in the Premier League after his World Cup heroics. The Leicester city attacker was a star for Nigeria at the Russia 2018 World Cup scoring two brilliant goals in their 2-0 win over Iceland in group D.
According to Turkish outlet Fotomac, Premier League sides Fulham and Huddersfield are interested in signing the 25-year old star. Huddersfield are hoping to bolster their forward line as they managed to stay up last season just by four points, scoring just 28 goals in the Premier League, the joint lowest tally in the top division. Ahmed Musa has been frustrated since his move to Leicester City in 2016 from CSKA Moscow. The Foxes' striker did not feature in any League match in the first half of last season before he was loaned back to CSKA Moscow. Musa scored just two goals for Leicester in 21 Premier League matches which he played in the 2016/2017 season. Ahmed Musa has scored 61 goals in 180 appearances for Russia giants CSKA Moscow as well as scoring 15 goals in 73 appearances for the Super Eagles, the Kano state born attacker is Nigeria's highest goal scorer at the World Cup with four goals.